Greg joined Levrose Commercial Real Estate in 2015 as a Senior Vice President focusing on Tenant & Landlord Representation. He is continuing his strong retail focus while working with his team of Peter McQuaid and Trenton McCullough, along with the national affiliate of TCN Worldwide. Prior to joining Levrose, Greg concentrated primarily on Tenant and Landlord Representation of a wide variety of local and national retail tenants while at both Sperry Van Ness and DeRito Partners. During this time, he successfully represented tenants including Arby’s, Whataburger, Jazzyogurt, Gigi’s Cupcakes, Yogurtini, Original Burrito Company, Elements Massage and Papa Murphy’s. Landlords represented by Greg included Pacific West Land, CW Capital, Red Mountain Group and Iron Titan. 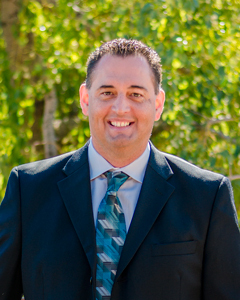 Greg started his commercial real estate career with DBSI Real Estate, LLC in 2004 specializing in assisting financial institutions with expansion strategy and site selection. Over the next six year he exclusively represented Bank of Arizona, Western State Bank, Choice Bank, Silver State Bank, TruWest Credit Union, Arizona Federal Credit Union, First Credit Union, Pinal County Credit Union, and Marisol Credit Union. Greg received his BAA degree in Business Management from Central Michigan University. He is currently an ICSC member. In his spare time, he enjoys coaching youth sports.